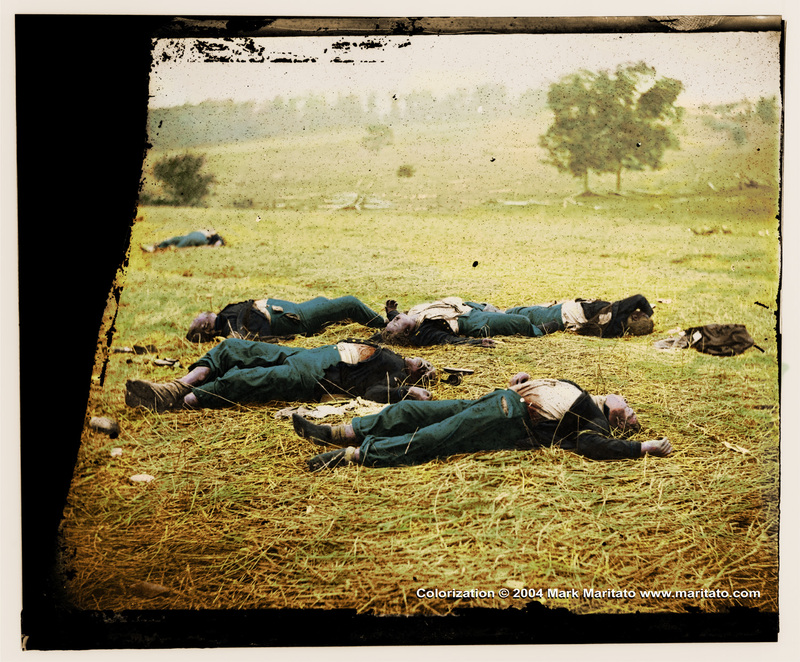 Also taken at Gettysburg by Alexander Gardener. me understand the fact that the upwards of 620,000 men killed are more than just names and numbers on a page. They were real people, fighting for a real cause, with real guns and cannons. Death was real, suffering was real. These pictures make it REAL for me….Candidly when I look at these pictures at first glance I want to hurl because of the gruesomeness of it. Then, I want to take a second glance because of how amazingly colorful and real it makes it. 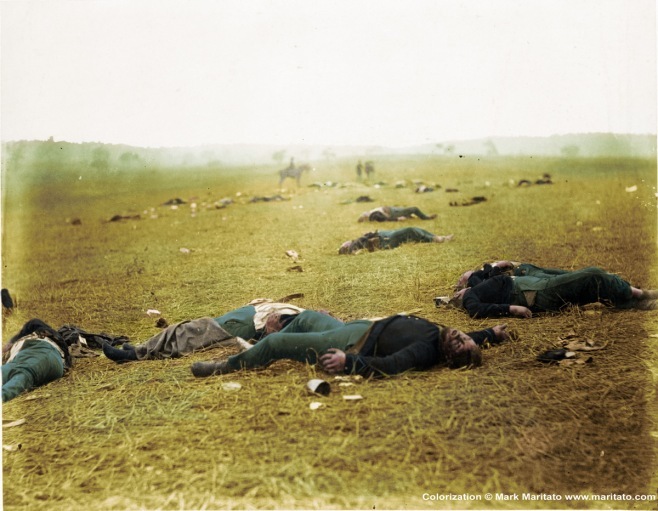 Finally, I find myself staring at the picture trying to look at every detail I possibly can, realizing more deeply the fact that the war was indeed fought in color….these pictures just blow me away. 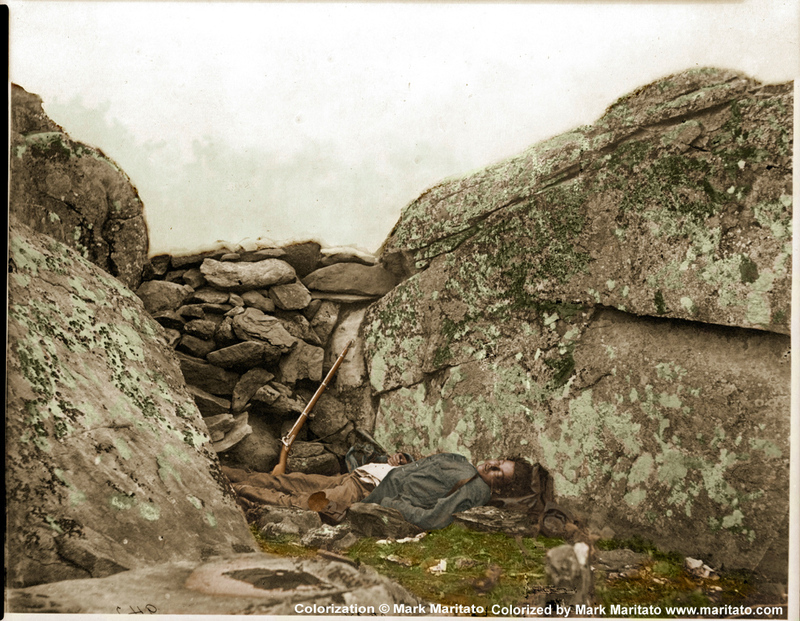 The third, and final colorized photo. Taken at Gettysburg.